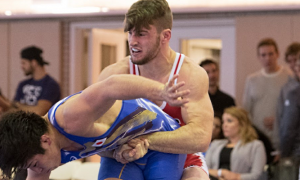 2016 Greco Roman Clubs Cup Preview - Each Team! Two days. 16 teams. Over 150 wrestlers. 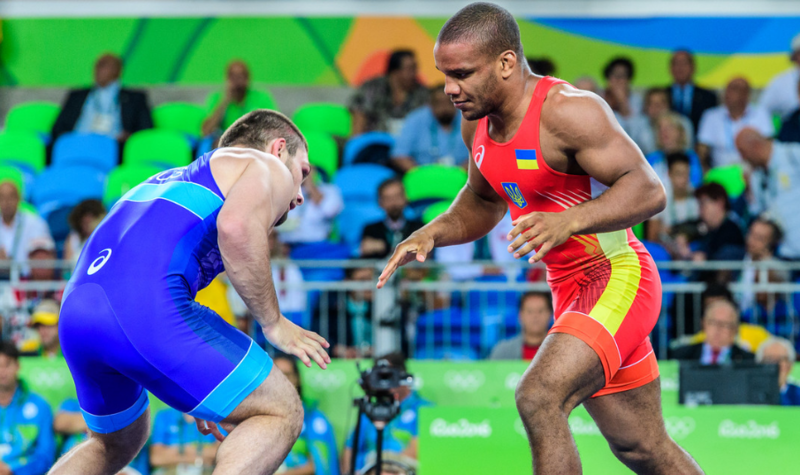 The 2016 World Wrestling Clubs Cup is big on both quantity and quality. A who’s who of Greco Roman Olympic and World medalists from all over the planet are converging tomorrow in Budapest, Hungary to kick off this marquee event, and there is plenty to look forward to. 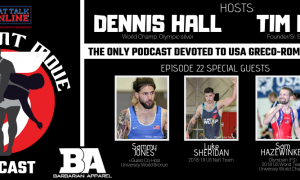 US fans who are excited to feast their eyes on some of the new blood coming up through the ranks will have the chance to see these men tested on what is for some, the biggest stage of their lives. Who is going to rise to the occasion? How will Team NYAC (USA) stack up against some of the deeper, more experienced squads? These are questions begging to be answered, as a few of the Americans are poised to make their presence known. Wrestling fans in general certainly won’t be shortchanged, either. Several of the sport’s most celebrated stars are not only competing, but in a few cases, for clubs from other countries. Different singlets, odd circumstances, high-level international Greco Roman wrestling — this entire thing is can’t miss programming. The event is two days, beginning tomorrow morning at 9:00am in Budapest, Hungary (3:00am EST). A few of Hungary’s most accomplished Greco competitors anchor a squad featuring two Korean imports. One of the deeper teams in the competition and expected to advance past group pairings. Led by veteran Hungarian tough guy Martin Szabo but fueled with the youthful energy of 2015 Junior World medalist Erik Torba, Europrofil is likely to present a dogfight for other teams but is not championship material. An evenly-comprised group of rising talents (and some with substantial miles logged) that might wind up becoming one of the event’s early surprises. Simply put: Maybe a couple of names you know, but most you probably don’t. Pavel Liakh and Iosif Chugoshvili stand out on another team fielding a majority of unproven commodities hoping to trade wins for experience. An almost well-rounded roster offering up the likes of iron-willed Ivan Lizatovic and Olympian Bozo Starcevic, but one that won’t see a ton of success without a heavyweight. Coming to the party without a 66 representative is Greece. You’ll get some sprite action with this squad, but they aren’t contenders. The New York Yankees of the 2016 Greco Roman Clubs Cup potentially. Two foreign loaners, six world ranked competitors, an Olympic champ, two World champs, multiple medalists at both events…Iran, who along with Hungary is a host nation, has the luxury of sporting two teams but this one is the crowned jewel. Iran’s second team doesn’t have nearly the same amount of punch as the first. It doesn’t mean they won’t be a tough out, however. Scrappers mixed in, here is another club team on display that is looking to use this event as a springboard for its youth and depth. Green as a whole, Poland is leaving its big guns at home. But watch out for Karecinski at 130 if he gets matches in. He’s one of Poland’s most promising upper-weight prospects. All hail Virgil! Romania’s “Little Dynamite” is still in the game despite an up-and-down 2016 (along with forays into MMA). Alin Alexuc-Ciurariu had a great Olympiad in Rio and just missed out on a medal and has plenty in the tank. Romania’s team isn’t full of superstars, but a lot of them are workers and should be in some fun matches. You might think it’s odd that for an event like the 2016 Greco Roman Clubs Cup, a unique setting for the sport, Russia would come with the heavy artillery. Now, the depth is so significant over there that it isn’t as if the pickings are totally slim. There are guys here who will be problems for everyone. But you know, optics and that sort of thing. Similar to the World Cup in a way. U23 gold medalist Sergey Emelin is an enjoyable watch if he gets hot. Another immensely strong club team. Fris, two Nemes, and a bullish Ukrainian heavyweight tell the story here. Proleter Zrenjanin is probably going to be in contention on the second day so make sure you pay attention. It’s serious business for the Turkish delegation. Olympic medalists Riza Kayaalp and Cenk Ildem along with 2015 World Champion Selcuk Cebi are who carry the banner for this overall deep squad. Kayaalp will likely not be challenged too often in his matches, but the others promise some entertaining battles. Ukraine is bringing some skilled, young pugs to the arena. The program as a whole has seen just a little bit of turnover despite still portraying a solid foundation of depth. Last in alphabetical order but certainly not least is the US, which is representing the good ole’ NYAC at the 2016 Greco Roman Clubs Cup. The US is in the midst of what you might call “growing pains.” A batch of fresh prospects as well as some guys who had been relegated to sitting back on the depth chart are being called upon to step up. It’s the dawn of a new quad and international events of any kind are welcomed in effort to bolster the seasoning of the Americans. This is the level they need to play at, making the Clubs Cup an important litmus test for all involved.